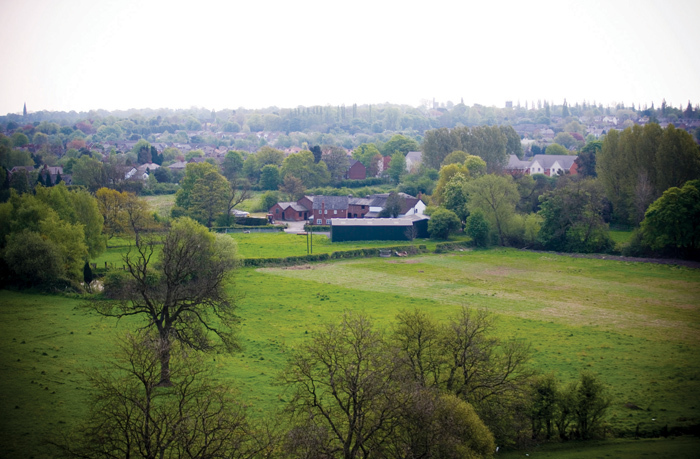 This is Pool Farm in the heart of the Cheshire countryside. It had recently been converted into a number of high-spec offices. We were commissioned by Stanian Architects to advertise the project. After a few discussions with the client, one of which ended with them laughing in our faces, we convinced them to go with an idea that avoided as much impact as possible to the local countryside with several proposed advertising hoarding sites planned in the locality as well as numerous other printed materials. Opposite the development is the Thelwell viaduct – 60,000 vehicles pass over it every day on their way too, and from Manchester. These were exactly the people this development was aimed at. 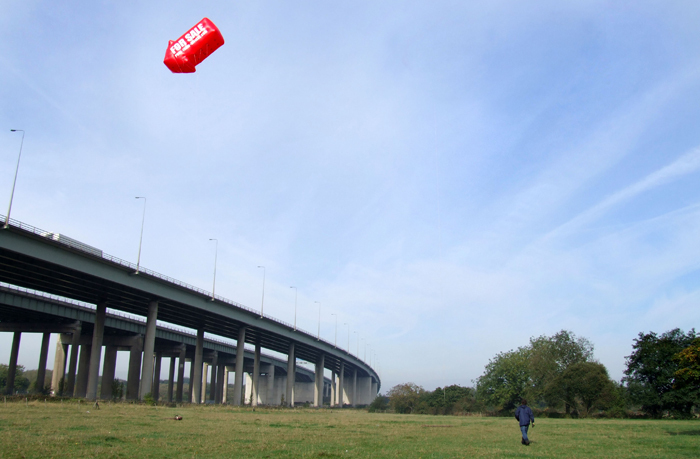 We did a ‘Channel 4’ and positioned a 20ft inflatable arrow between Pool Farm and the Thelwell Viaduct. 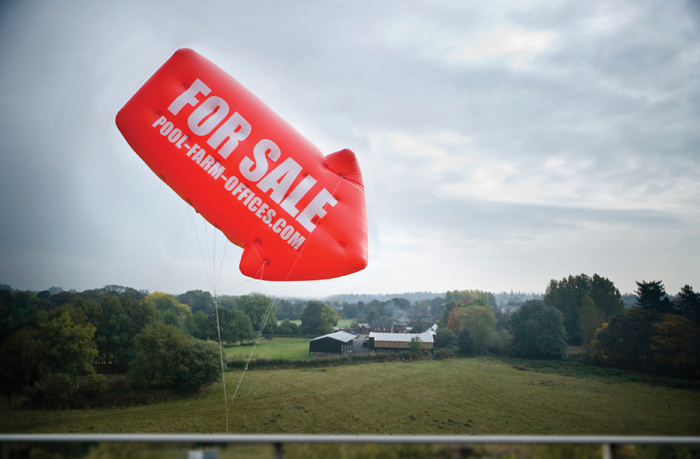 So anyone passing would get the illusion of a 120 ft balloon over the development. On the first morning they had several enquiries and in the first week had sold 3 of the 5 offices. When we’d finished the balloon was recycled.